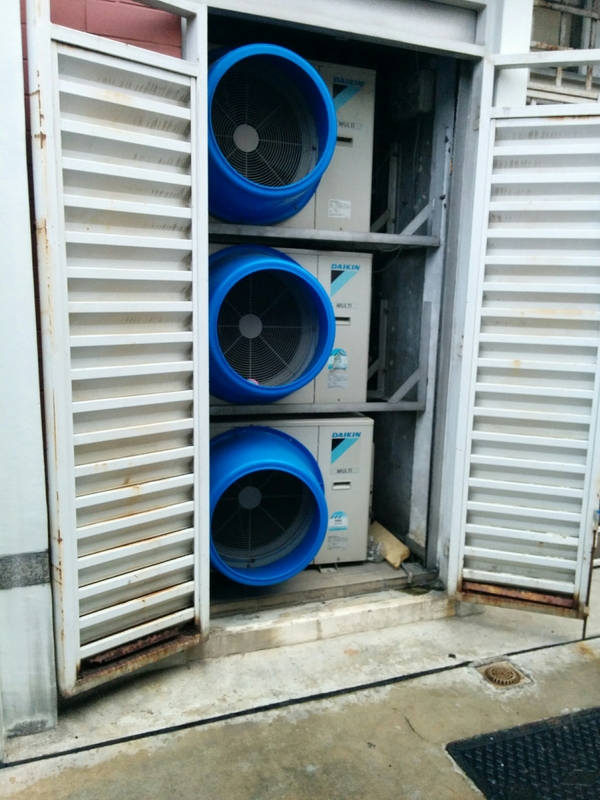 The location of the condenser fan is an important criteria. The vendor try to hide the condenser in a conceal room or riser. It look nice but the condenser fan may not fulfill it’s function. The condenser is a heat exchanger and it’s main function is to lose heat to the environment. In this case they have to leave the door open so that it can blow the heat away and cool down the coils. You will notice that your home air conditioning condenser fan is sitting on a ledge outside or bracket mount on the wall. The fan is able to discharge heat with nothing blocking it.